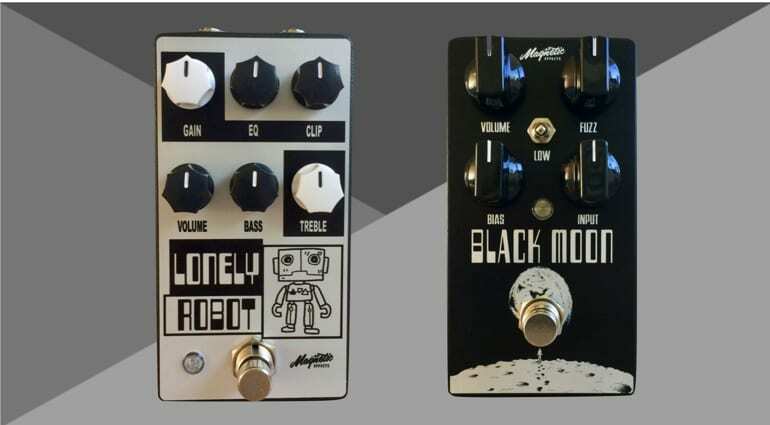 Magnetic Effects has just announced a pair of limited edition pedals, the Lonely Robot and Black Moon. Based in London, Magnetic Effects is building a reputation for great pedals and these two pedals represent new appraoches to classic circuit designs. These two limited-edition pedals reinterpret the Fuzz Face and RAT distortion pedals. I recently wrote about the re-released Sändare V2 overdrive pedal, which has won the admiration of Tone Report. That means we can expect great things from these two new dirt pedals. 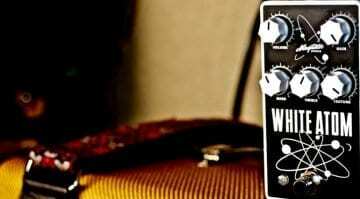 The Black Moon is based on the near-legendary Fuzz Face circuit. Beyond the original’s Volume and Fuzz controls, the Black Moon also packs in a Bias that’s used to ‘tune’ the transistors. The Input control alters the signal level and impedance. There’s also a three-way switch labelled Low. 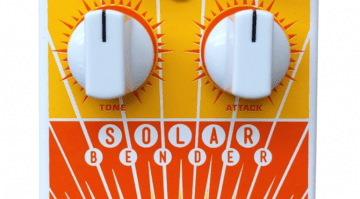 This feeds more bass into the circuit and tightens up the low-end frequencies. These additional controls help you attain a wider variety of fuzz tones, making up for the original Fuzz Face’s lack of user settings. 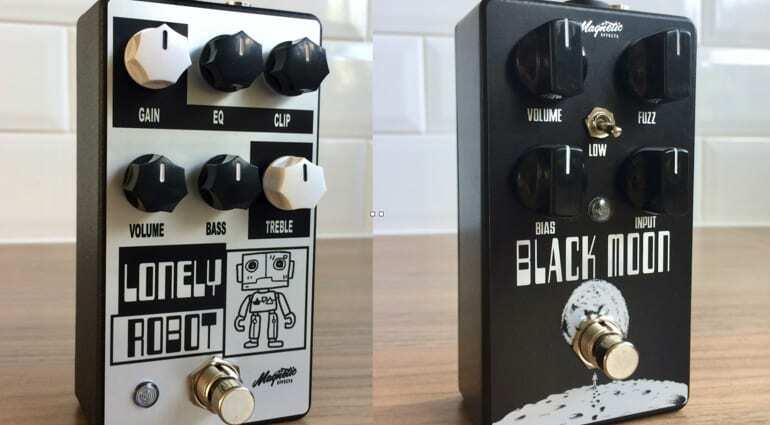 The Black Moon has a polarity reverse circuit and is true-bypass, so it should play well with power supplies and other pedals (unlike the original Fuzz Face). The Lonely Robot is Magnetic’s version of the ProCo RAT distortion pedal, featuring an internal voltage doubler. Another addition that goes beyond the original circuit design is a post-gain active bass EQ that allows it to either boost or cut low-end frequencies. The EQ control sets the amount of gain applied to certain frequencies. Overall, the Lonely Robot has lots of control over the gain structure. The Clip control lets you add in compression and harmonic saturation in precise amounts. This one’s also true-bypass and also utilises a high input impedance and low output impedance, helping it work well in a buffered effects chain set-up. 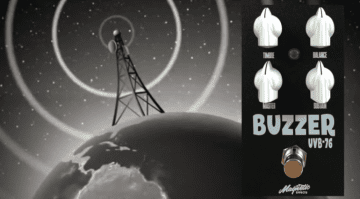 Magnetic Effects Buzzer UVB76 – a Buzzaround fuzz clone?